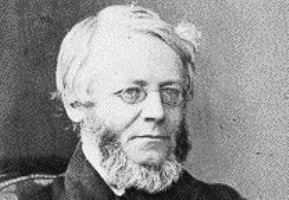 Dr Thomas Laycock is best known for his work in neurophysiology. He is particularly celebrated for his work on reflex actions of the brain  a reflex being an unconscious reaction to stimuli operating on the nervous system. He demonstrated that the brain, though an organ of consciousness, was also subject to the laws of reflex action and in this respect no different from other ganglia. However, the physiology of the nervous system had implications for mind and behaviour, and like other scientific developments, was difficult to reconcile with Christian theological belief. This involved controversial concepts relating to the physical basis of normal as well as abnormal behaviour: the nature of the will, consciousness, and the relationship between body, mind and spirit. Laycock was born in Wetherby on 10 August 1812. His father was a Wesleyan minister and as the family moved frequently to different postings round Yorkshire, Laycock went to Woodhouse Grove boarding school to avoid disruption to his education. In 1823 the external examiner was Patrick Bronte, the vicar of Haworth. The teaching of science at the school may have influenced him in his career, and at the age of 15 he became an apprentice to the surgeon-apothecaries William and John Spence in Bedale. In 1833 he went to University College, London, to study medicine and surgery. He enjoyed the lectures on comparative anatomy by Robert Grant, a freethinker who considered that physical and chemical forces alone were responsible for the origin and evolution of life. Laycock himself retained his Christian faith, but evidently found this stimulating. A year studying medicine in Paris in 1834 included a course in statistics under Pierre Charles Alexandre Louis, the value of which was revealed in his contribution to 1844 Report to the Commissioners of Inquiry into the State of Large Towns and Populous Districts, on poverty and disease in York. Laycocks first appointment was as apothecary to the York County Hospital in 1836, a post subject to social and political restriction which he found trying. His role included working at the York Dispensary  a complementary institution serving the poor. 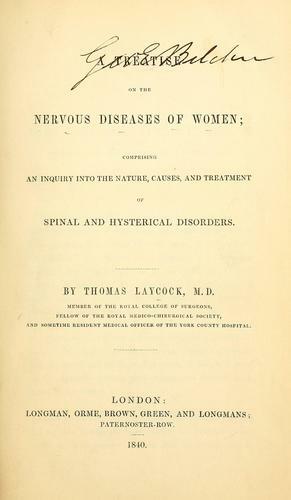 He wrote a great many papers on a range of medical questions, including experiments on saliva for diagnostic purposes, on the use of water cushions to prevent bedsores, and on nervous diseases (hysteria), the latter in particular drawing on empirical observation as well as other research from which to make deductions. He gained his MD from Göttingen University on the basis of these papers on hysteria and became a practising physician in York, further strengthening his professional qualifications by becoming a licentiate of the Royal College of Physicians of London. He also taught at the York Medical School, which opened in 1834 using a room in the hospital, with a laboratory at the Yorkshire Museum. It closed in 1862, possibly because of its proximity to the larger medical school in Leeds. 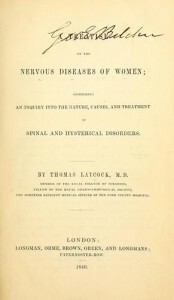 One of Laycocks particular interests at this time was in public health. Reports of mortality statistics among the poor living in slum areas in London were disturbing and Laycocks own report of 1844 on conditions in York added further statistical evidence. Edwin Chadwick considered Laycocks report on York the most able he had read. George Hudson, having vested interests, thought it was exaggerated. It was becoming clear that the State needed to accept responsibility for public health matters. Political medicine (Laycocks term) included the training of doctors, the registration of medical practitioners, the development of the British Medical Association, and medical jurisprudence. It also included the public health movement and sanitary reform  public hygiene, the reporting of epidemics and the control of infectious diseases, especially among the poor. In 1855 he was encouraged to apply for the chair of medicine at Edinburgh, and despite his wifes reluctance to move accepted the post. He was made a Fellow of the Royal Society of Edinburgh in 1856, and in 1859 became Physician to the Queen in Scotland. Among his many interests, his work on the mind and brain established the teaching of psychiatry in Edinburgh. 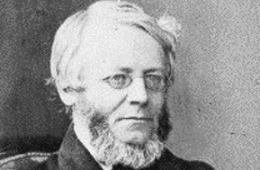 His influence on neurologist John Hughlings Jackson (another Yorkshireman), and the psychiatrist James Crichton-Browne, led to the further development of medical psychology. Their influence in turn continues to the present day. Laycock seems to have been a rather irritable, confrontational personality and also a little paranoid about the class distinctions that put him at a professional disadvantage. He was of short stature, and suffered from ill health. There was tuberculosis in his family; at least one child died of it, and Laycock himself suffered amputation of a leg in 1866, probably because of TB. His death on 21 September 1876 was almost certainly due to pulmonary TB. Barfoot, Michael (ed.). 1995. To ask the suffrages of the patrons: Thomas Laycock and the Edinburgh chair of medicine, 1855. Wellcome Institute, London. Laycock, Thomas. 1844. Report on the sanatory [sic] state of York. [Appendix to the First Report of the Commissioners of Inquiry into the State of Large Towns and Populous Districts]. York, 1844. Obituary in British Medical Journal 30 September 1876. Pearce, J M S. 2002. 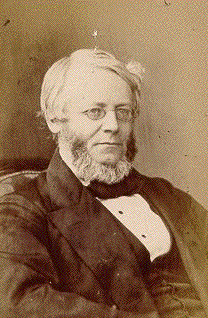 Thomas Laycock (1812-1876). Journal of Neurology Neurosurgery and Psychiatry 73: 303. Thomas Laycock Collection [of manuscripts, etc.] is kept at the Royal College of Physicians of Edinburgh.